If you want to buy a home in Hollywood, it will require a lot of time and effort, but these important steps can help make the home buying process manageable. Yes, buying a home in Hollywood is going to be a challenging, exciting, fun, and nerve wracking attempt. But, believe me, the reward will be more than worth the effort. There is no better feeling than sleeping under a roof that you own. Especially if that roof is in the City of Hollywood! We are here to help you make the best decisions possible. Buying your first house is a amazing experience and a enormous step, despite of your age. In the same time it is overwhelming, scary and exciting. This process can be stressful, exhausting and breathtaking, all at the same time. And there is nothing quite like own your own house. Lenders generally recommend that people look for homes that cost no more than three to five times their annual household income. But you should make this determination based on your own financial situation. The most delicate step in buying a new home is to know what you can afford. Take an straightforward and frank evaluation of what you can buy. You probably want the biggest and best, but not everyone can afford to make their dreams come true. If you want to avoid failure and disappointment later on in the buying process, now is the time to understand your buying power reality. Unless you plan to buy with all cash, you will need to start with a bank or mortgage broker. Getting started is not that hard. You should get an impartial opinion of your buying power and get a loan pre-approval letter. Once you have the pre-approval letter stating a specific dollar amount, you are ready to begin the dreaming part of your purchase. The loan officer will ask you for payroll stubs, tax returns, your assets and liabilities. You want an honest picture of what you can safely borrow and afford for years to come. Hollywood real estate purchases can be made simple if you attack it methodically and treat it as a business decision. You should remember that this is probably the biggest purchase in your life. So get serious, but still have fun doing it. Real estate agents are important partners when you’re buying or selling a home. Real estate agents can provide you with helpful information on homes and neighborhoods that isn’t easily accessible to the public. Their knowledge of the home buying process, negotiating skills, and familiarity with the area you want to live in can be extremely valuable. And best of all, it doesn’t cost you anything to use an agent – they’re compensated from the commission paid by the seller of the house. The process of buying a home in Hollywood can be much easier with the help of real estate agent. 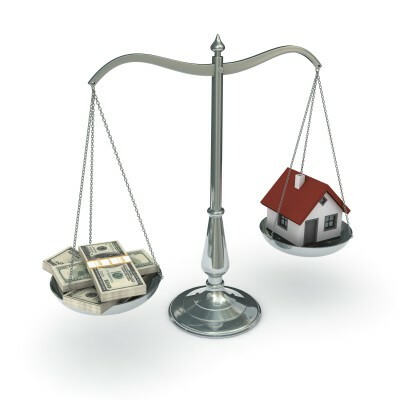 You can use the services of agent to help you find a place within your price range. He can also assist you with all of the necessary paperwork. You are hiring an agent to work for you. But also understand, he has a choice as well. If you seem unenthusiastic, disorganized or less than truthful during the interview process, good agents will pick up on that and can decline to work for you. If you have a plan to buy a home in Hollywood, have in mind that partnership is a two-way street. Once you find your partner and new best friend, loyalty is pre-eminent. If you want to buy a home in Hollywood, take as much time as you need to find the right house. Then work with your real estate agent to negotiate a fair offer based on the value of comparable homes in the same neighborhood. Once you and the seller have reached agreement on a price, the house will go into escrow, which is the period of time it takes to complete all of the remaining steps in the home buying process. Lenders have a wide range of competitively priced loan programs and a reputation for exceptional customer service. You will have many questions when you are purchasing a home. Having one of experienced, responsive mortgage bankers assist, you can make the process much easier. Once you know what you can afford, the dream home criteria, and have a real estate agent assisting you, it is time to start shopping! And there are many ways to approach the business. Your real estate agent should take the initial lead here. Knowing your criteria, he should collect a list of Hollywood homes for you to review. If this does not happen, fire him right away. Once you have this list, go over it carefully, and share with your agent why you like some listings and don’t like others. If you later want to change your criteria, just let him know. At closing, you will sign all of the paperwork required to complete the purchase, including your loan documents. It typically takes a couple of days for your loan to be funded after the paperwork is returned to the lender. Once the check is delivered to the seller, you are ready to move into your new Hollywood home!